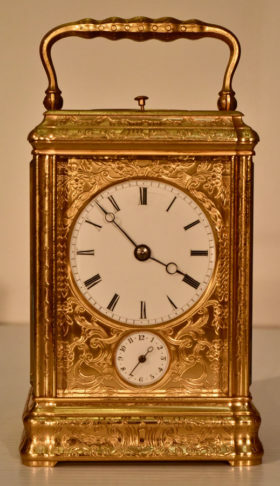 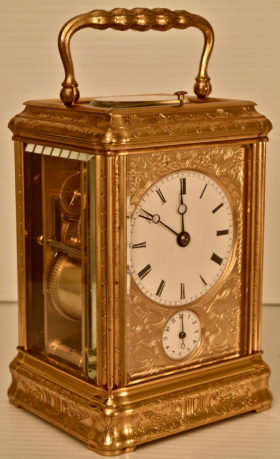 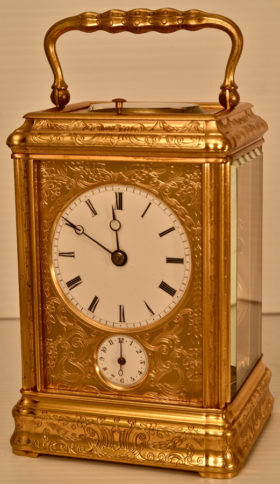 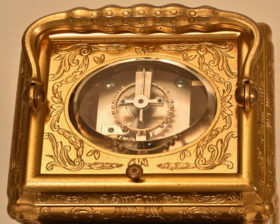 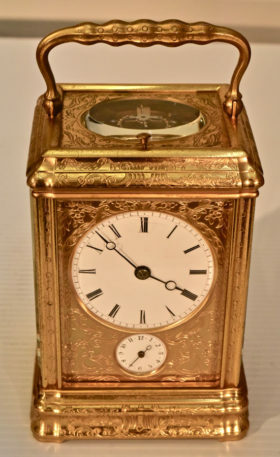 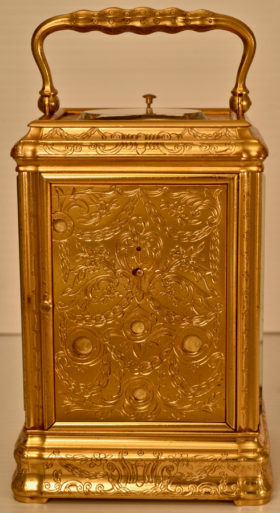 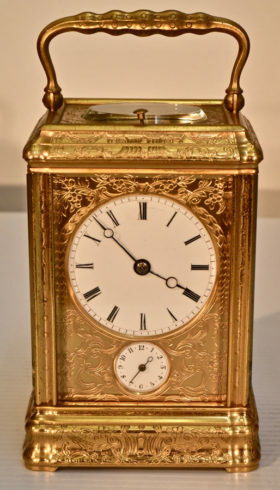 This early French carriage clock is in an engraved Gorge case with porcelain dials and engraved dial mask. 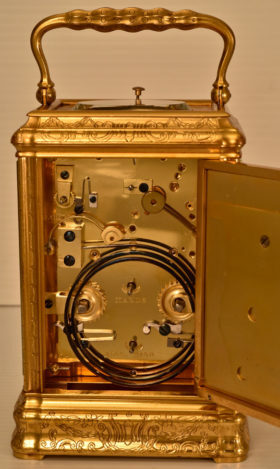 The clock houses an 8 day movement with the original lever escapement, featuring an hourly strike on tuned gong, repeat at will, and alarm. 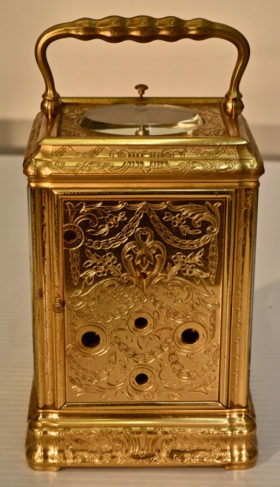 The back plate is engraved and there is a sliding dust cover over the winding holes.